The Reebok Knit Lounge Pants have a button fly, with side pockets and an adjustable drawstring. The pants are made of a soft cotton and polyester blend so whether you're sleeping or lounging at home you'll be as comfortable as can be. Button fly-front with single button closure. Covered elastic waistband with adjustable drawstring ties at front. Reebok logo on side of left leg. Lightweight knit makes these ideal for any time of year. 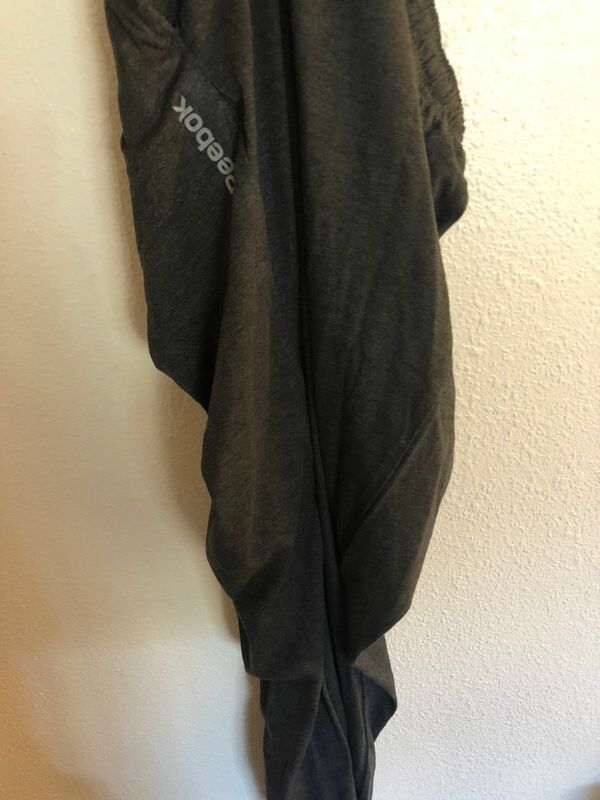 I bought several pairs of these Reebok lounge pants as they are lightweight, soft and comfortable. If you're looking for a flannel type lounge pants, these aren't them. They are fairly lightweight and perfect for indoor wear. Javeed B. Reviewed by Javeed B.
length was too long, but can't return it because return shipping cost is prohibitive. will figure out what else to do with it. the length was a little too long (and because of the material, the legs can't be rolled up). i tried to return but the shipping cost is too high so i'll have to figure out what else to do with it. overall, it's a thin material so better for summer months. Excellent material and perfect fit. Nice to wear and much better than fleece lounge pants. 5 stars all the way!! !